Rosé wines are more popular than ever. The quality in recent years has increased substantially. New styles have emerged which go better with food than the previously rather sweetish rosé wines which often were the source of the first youth drunkenness. This tasting includes rosé wines from Provence, South Africa and Italy all made from different grapes and a self-made rosé wine made of white wine with the addition of a little red wine. The intention is to get to know different styles of rosé, how these wines are produced and which grapes are used. The significance of the colour differences is explained followed by a short presentation of the wine district Provence and its importance for the development of rosé wines. Finally, recommendations of suitable food dishes are given. 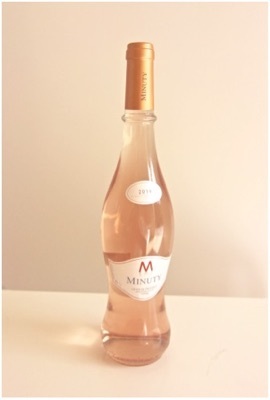 A rosé wine can be of almost any taste from messy sweets to stringent, elegant wines full of character. You can divide rosé wines into two flavour types, Fresh and Berry and Fruity and Flavourful. The Fresh and Berry are high in acidity and are light with flavours reminding of wild strawberries, raspberries and red currants, ususally without any sweetness. The colour is usually pale pink, light pink or orange-pink. 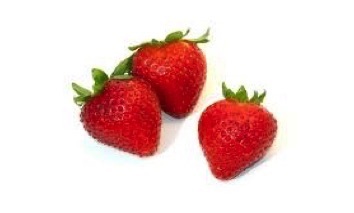 The Fruity and Flavourful have distinct fruity aromas and flavours of strawberries, peaches and pomegranates. The wines are rich, sometimes with distinct sweetness. The colour is darker pink or blue-pink. Rosé wines are made of blue grapes. How can you get such a light wine from blue grapes? The explanation is that the skins are separated from the must early, before they have released too much colour. The skins contain namely colourants but also tannins which make the wine stringent. Since the skins are separated early the rosé wines will, like white wines, not be stringent. Blindfolded, it can actually be quite difficult to distinguish a rosé wine from a white wine. The fruit pulp is, with a few exceptions, colourless. The production of rosé wine starts in the same way as with red wine but the skins are separated from the must at a much earlier stage so that the wine only gets a little colour. Then the production continues in the same way as a white wine. You can cheat by adding some red wine to a white wine but that will not be a genuine rosé and it will not be as good. Surprisingly, however, the addition of red wine is permitted in Champagne. The demand for pink Champagne and pink sparkling wine in general has increased significantly in recent years and follows the same trend as still wine. Which grapes are used for rosé wines? Blue grapes are used for making rosé wines. The best grape variety for rosé wines is Grenache but it is far from the only one. The wine from Provence in this tasting contain Grenache, Cinsault and Tibouren and the South African wine Allesverloren contains only Tinta Barocca. The Italian Baciorosa are made of the same grapes as in Amarone, i e Corvina, Rondinella, Molinara and Negroamaro and Primitivo as well. 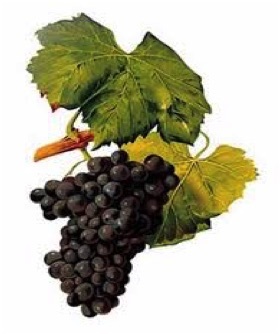 Grenache, or Garnacha, as it is called in Spanish, is a common grape, it may be the world´s most widely grown blue grape. Grenache likes sun, which you can taste in the wine, you also can find hints of herbs and spices. The skin is thin and does not release much colour. There is no abundance of fruit acids and tannins and this affects both the structure and storability negatively and Grenache is therefore very sensitive to oxidation during the process. Grapes like Mourvèdre and Carignan, which contain more fruit acids are therefore often mixed with Grenache. The light colour makes Grenache ideal for rosé wines. Mourvèdre is the grape which is most often blended with Grenache. But to rosé wines you can use almost any blue grape. Why are there different colour shades of rosé wines? The colour is important. Some wines are pale pink while others are almost red in colour. The colour depends partly on the grape variety and partly on how long the skins have been in contact with the must. But the colour along with the aroma and flavour may also reveal the origin of the wine. The light pink colour is often found in wines from southern France and Spain, where light, alcohol-rich wines of Grenache traditionally are produced. Darker rosé wines can mainly be found in countries of the New World, like Chile and South Africa. But also in Bordeaux small amounts of darker rosé, called Clairet, are produced. The shade which is most difficult to get is salmon pink or "onion skin" colour. You do not succeed with all grapes but if Cinsault, Grenache and Tibouren are used and if the skin maceration is meticulously managed, too long or too short skin contact may ruin everything, you may succeed. Moreover, you must also manage to give the wine a slight oxidation during the manufacturing process, that has a direct effect on the colour. Generally, French and Spanish rosés are more austere and herbaceous in character than, for example, those coming from the New World, where the fruit is emphasized. The latter may also be slightly sweet. Many of the rosé wines from the New World are made for the northern European market and the US. For example, in Chile, Australia and South Africa the entire production is exported. As for the pink wines from south of France and Spain the local dishes have influenced the wines to a large degree. It was difficult to make fresh and crispy white wine in the south of France and Spain due to the warm climate. The solution was to produce rosé which is more like white wine than red to suit the local fish and seafood dishes. When you talk about rosé you can not ignore Provence. This was where it all started. After World War II the tourists began to discover the Riviera and the entire coast was popuated with hotels and inns. The Provencal food became famous and above all the accompanying wine - icecold rosé. Wine growers had discovered that their rustic red wines did not appeal to the visitors. They experimented with shortening of the skin contact at the vinification and manage to produce a wine with much less tannins and which did not have to age but could be sold only a few months after harvest. Much of what has been produced has been pretty mediocre, even the French themselves recognize this. But there has been a huge shake-up in the last decade. Export of wine from Provence has until now been relatively insignificant, since most havs been consumed locally, but the rosé trend that swept the world has changed that. The area in Provence where the rosé wine is produced is large and spans approximately 27 000 hectares of plantations, located around the towns of Toulon and Marseilles in southern France. Here, 174 million bottles of wine is produced, and of these 87% is rosé. The region has a pronounced Mediterranean climate with warm summers and mild winters. The most common grapes for rosé wines of Provence are Cinsault, Syrah and Tibouren. Which food goes well with Rosé? Once you said that rosé goes well with any food but suits nothing. But that is no longer true. Rosé wines have become more food-friendly and the quality has increased.The rich variety of vegetables, fish and seafood in the summer and particularly in the Mediterranean cuisine suit rosé wines very well especially since they often are served cold during the hot summer months. Together with herbs typical of Provence like thyme, rosemary, savory, chervil, sage, parsley, garlic, onions, and olive oil the rosé wines raise the food dishes another notch. Light, fresh rosé is ideal as an aperitif. Full-bodied rosé wines with some residual sweetness are nice enjoyed on their own with good friends. Full-bodied, flavourful rosé is suitable with grilled fish or white meat. To specilalties from southern France or Spain a rosé wine from the same area is a good choice. For example, try Spanish paella or bouillabaisse from southern France in which the saffron and seafood flavours go perfect with a light rosé. Other dishes suitable for dry, light rosé is Gazpacho and Salad Nicoise. Salads generally go very well with rosé wines especially if combined with more substantial food like Halloumi or chicken. To the more flavourful and richer rosé wines, such as clairet or similar from the New World, grilled seafood or pork and chicken taste excellent. Everything that works for light red wines are often good for more powerful rosé wines. But if they are too fruity or have some sweetness they are better as an aperitif or to drink on their own. 🔺M de Minuty, nr 2590, France, Provence, Côte de Provence. Producer: Château Minuty. 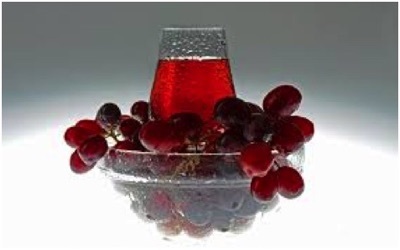 Fresh and berry wine. Grape varieties: Cinsault, Grenache, Tibouren. Sugar content: less than 3 g/l. Alcohol content: 13%. Elegant, raspberry aroma, soft, herby flavour with a pleasant finish. Price about 12 euros. 🔺Tommasi Baciorosa Appassionato, nr 72433, Italy. Producer: Tommasi. Vineyards in Veneto and Masseria Surani in Apulia. Grape varieties: Corvina, Rondinella, Molinara, Primitivo, Negroamaro. Sugar content: 3 g/l. Alcohol content: 13.0%. Baciorosa means "the pink kiss". Price about 10 euros. 🔺Allesverloren Tinta Barocca Rosé, nr 73280, South Africa, Western Cape, Coastal Region, Swartland. Producer: Allesverloren Estate. Grape variety: Tinta Barocca. Sugar content: 3.19 g/l. Alcohol content: 12.5%. Soft, raspberry aroma with bitter orange peel, herby, fresh flavour. Price about 10 euros. 🔺Home made rosé: Foot of Africa, Grape variety: Chenin Blanc, white wine, nr 27004 + Anakena, Grape variety: Syrah, nr 2156 red wine. Add about 1-2 tablespoons of Anakena to the white wine, enough to give a pink colour. Price Foot of Africa about 7 euros. Anakena about 6.50 euros. Peel the shrimps and place in a bowl. Peel the apple and cut into four wedges. Cut off the core and cut the apple into small cubes. Mix shrimps, apple, horseradish, dill, sour cream and mayonnaise. Put the shrimp mix on the bread and top with a little white pepper. Start with marinating the chicken fillets. Mix balsamic vinegar, lemon juice, olive oil, salt and black pepper in a bowl. Add the chicken fillets and let stand for about 30 minutes. Cut the bread into cubes and roast them in olive oil in a frying pan until they get a golden brown colour. Press the garlic over them towards the end and set aside. Make the dressing. Chop the anchovies finely and mix them with mustard, egg yolk, pressed garlic, Worcestershire sauce, vinegar and lemon juice. Whisk in olive oil or run the blender. Mix in Parmesan cheese and milk. Season with salt and black pepper. Blanch the French beans about 1/2 minute in lightly salted water. Rinse in cold water, then set aside. Peel the onion, cut into fine rings. Put them on paper which removes some of the sharp taste of the onions. Clean and cut the larger lettuce leaves. Grill or sear the chicken fillets briefly in a hot pan. Continue frying on lower heat about 8 to 10 minutes. Set aside a few minutes before the fillets are cut up. Quickly mix lettuce, French beans, onions and half of the dressing in a large bowl. Put the mixture on a serving plate and sprinkle over the bread cubes and some Parmesan cheese. Serve with the chicken and the remaining dressing. Delicious cheeses to rosé are: Saint André, Delice de Bourgogne, Brie, Brillat Savarin or Chaource.